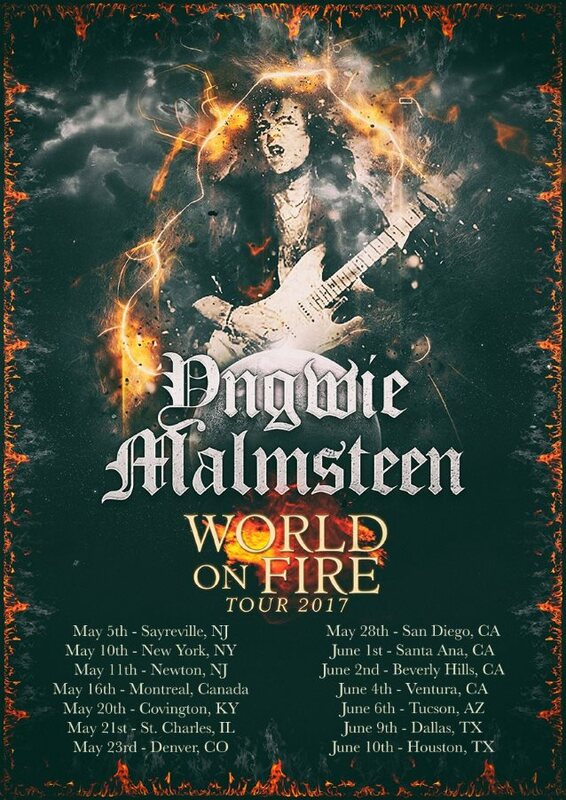 Following the overwhelmingly positive reception to his latest album, “World On Fire”, legendary Swedish guitar virtuoso Yngwie J. Malmsteen has announced a spring 2017 U.S. headling tour. Yngwie and his ensemble of top-tier musicians will perform pieces from the legendary neo-classical stylings of “Rising Force” (1984) as well as songs from the fierce “World On Fire”, and material from everything in between. Malmsteen last toured the States in 2016 on the “Generation Axe” tour alongside Steve Vai, Zakk Wylde, Nuno Bettencourt and Tosin Abasi, playing to more than 70,000 people over 27 dates. Now, Malmsteen is hitting the road once again, and the “World On Fire” tour promises to be one of his most explosive yet! Jun. 09 – Dallas, TX – Gas Monkey Live! W.A.S.P. will celebrate the 25th anniversary of its classic fifth album, “The Crimson Idol”, by releasing a re-recorded version of the LP along with a 50-minute DVD film of the album’s story. In addition, the band will perform “The Crimson Idol” in its entirety — on a tour dubbed “Re-Idolized: The 25th Anniversary Of The Crimson Idol” — along with three missing songs originally intended to be part of the recordings. The show will be done in two parts, with the first being “The Crimson Idol”, and part two being a collection of greatest hits. Released in 1992, “The Crimson Idol” is a full-length conceptual album that tells the twisted tale of a suicidal rock and roll icon and the perils that come with fame. With guitarist Chris Holmes no longer a member of W.A.S.P., Blackie Lawless recorded “The Crimson Idol” with guitarist Bob Kulick and drummers Stet Howland and Frankie Banali. Voted one of the Top 20 conceptual albums of all-time by Metal Hammer magazine, “The Crimson Idol” is obviously more of a soundtrack than, say, a straight rock ‘n’ roll album. 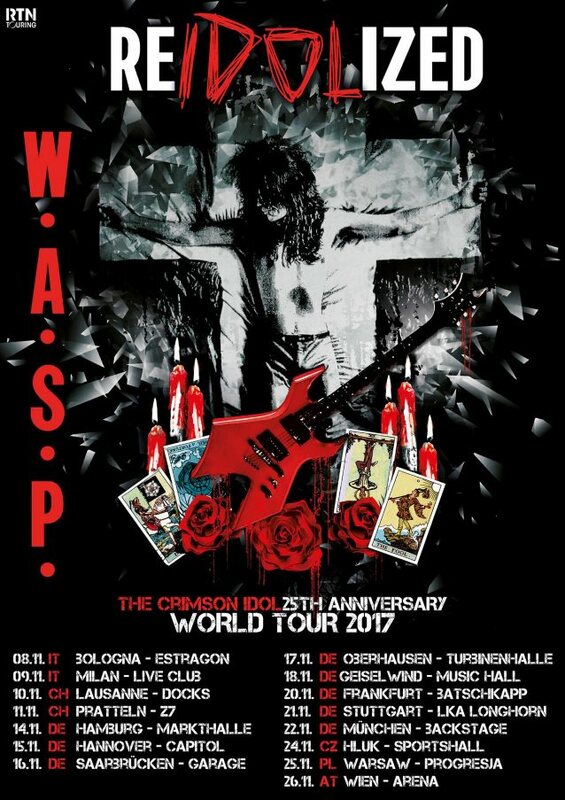 Issued internationally in 1992, “The Crimson Idol” was not made available in the United States until 1993 and it gave W.A.S.P. the band’s first U.S. radio hit single with “Hold On To My Heart”. Ironcally enough, it was the way Capitol Records handled the push (or lack thereof) on “Hold On To My Heart” that made Blackie decide to leave the label. 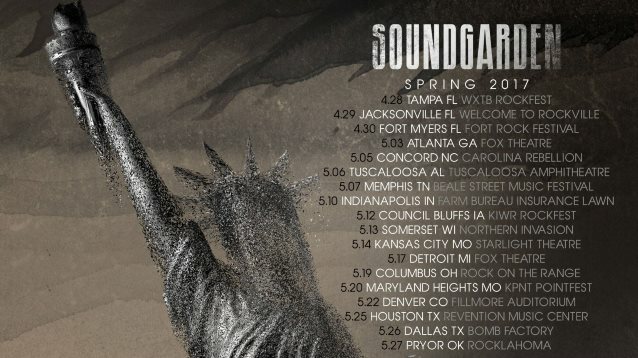 One of the most influential bands in rock music, Grammy Award-winning multi-platinum band SOUNDGARDEN, today announced a North American headline tour that will kick off on May 3 in Atlanta, Georgia at the Fox Theatre. THE PRETTY RECKLESS and THE DILLINGER ESCAPE PLAN will support select dates. A special ticket pre-sale for fans who are signed up to SoundgardenWorld.com and ChrisCornell.com will launch Tuesday, February 28 at 10:00 a.m. local time. Tickets will go on sale to the general public Friday, March 3 at 10 a.m. local time. SOUNDGARDEN will also appear at a variety of previously announced summer festivals, including WXTV Rockfest, Welcome To Rockville, Fort Rock Festival, 89.7 The River’s Rockfest, Rock On The Range, and more. See below for a complete list of confirmed dates. SOUNDGARDEN has set March 10 as the release date for a remixed deluxe version of the band’s 1988 full-length debut album, “Ultramega OK”. This expanded version of the record is described as a “correction” of the original mix, which the band was never satisfied with. Guitarist Kim Thayil told The Pulse Of Radio that the band wanted legendary Seattle producer Jack Endino to remix it almost immediately after it first came out. “We were never happy with the mix, and from day one, the band, the record label — which was Greg Ginn at SST — and Jack Endino all said, ‘Yeah, let’s do this. Let’s remix it,'” he said. Although SOUNDGARDEN initially intended to remix the disc shortly after its original release, the group signed a major deal with A&M Records and started work on its next album, 1989’s “Louder Than Love”, abandoning plans to revise “Ultramega OK” at the time. SOUNDGARDEN reacquired the master tapes of “Ultramega OK”, which was out of print for years, in 2016. The band then recruited Endino to finally remix the disc, with Thayil working in the studio with him. In addition to the remixed original album, the new edition of “Ultramega OK” will come with six early versions of songs that wound up on the disc. The tracks were recorded in 1987 in Seattle and mixed by Endino last year. All the songs ended up also being recorded for “Ultramega OK”. The “Ultramega OK” tracks for which early versions are included are “Head Injury”, “Beyond The Wheel”, “Incessant Mace (Short)”, “He Didn’t”, “All Your Lies” and “Incessant Mace (Long)”. Since reuniting in 2010 following a 13-year hiatus, SOUNDGARDEN has embarked on an extensive restoration of its catalog, including deluxe archival versions of the classic albums “Badmotorfinger” and “Superunknown”, along with a three-disc collection of rarities, B-sides and previously unreleased tracks called “Echo Of Miles: Scattered Tracks Across The Path”. SOUNDGARDEN has been slowly working on material for its seventh studio album and will enter the studio sometime in 2017 to begin recording. The disc will follow up 2012’s “King Animal”. Work on a new record started in 2015, but SOUNDGARDEN took breaks while Cornell toured his “Higher Truth” solo effort and drummer Matt Cameron hit the road with PEARL JAM. SOUNDGARDEN reunited in 2010 after a 13-year layoff, touring and then eventually writing new material that became the basis for “King Animal”, its first new studio album in 16 years. SLAYER, LAMB OF GOD and BEHEMOTH will join forces for a U.S. tour this summer. All three acts will perform at the Chicago Open Air festival on July 16. In addition, SLAYER and LAMB OF GOD will appear at the Rock Fest in Cadott, Wisconsin on July 13. Furthermore, the KILO 94.3 radio station has advertised a August 2 date for the three-band package at the First Bank Center in Broomfield, Colorado. The full tour details are expected to be revealed later this week. 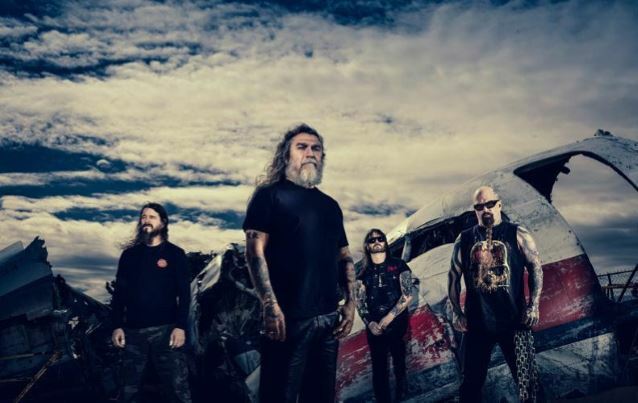 SLAYER‘s latest album, “Repentless”, was released on September 11, 2015 via Nuclear Blast. The follow-up to 2009’s critically acclaimed, Grammy-nominated “World Painted Blood” was produced by Terry Date, who has previously worked with PANTERA, DEFTONES and SOUNDGARDEN. The artwork was created by Brazilian artist Marcelo Vasco in collaboration with Tom Araya and Kerry King. LAMB OF GOD released a new EP called “The Duke” on November 18 via Epic. The EP’s title track, which was recorded during the sessions for the band’s last album, “VII: Sturm Und Drang”, was inspired by the plight of a LAMB OF GOD fan named Wayne Ford, who was diagnosed with leukemia in 2010 and died five years later at the age of 33. The EP includes another previously unreleased track that dates back to LAMB OF GOD‘s “Wrath” LP, the thrashy, heavy “Culling”, which the band finished up especially for this EP, along with live recordings of three “VII: Sturm Und Drang” tracks. “VII: Sturm Und Drang” was released in July 2015 via Epic in the U.S. and Nuclear Blast Entertainment in all territories outside of North America. The CD was once again produced and mixed by Josh Wilbur with engineering by Wilbur, Nick Rowe and Kyle McAulay, and was recorded at NRG Recording Studios in North Hollywood, California and Suburban Soul Studios in Torrance, California. BEHEMOTH last year completed a North America tour where the band played its latest album, “The Satanist”, in its entirety. In addition to the concert, fans also had the chance to view “The Congregation” exhibition at each venue. Dubbed “a symbiosis of BEHEMOTH and Toxic Vision,” the display showcased the collaboration between the two parties. “The Satanist” sold around 10,000 copies in the United States in its first week of release to debut at position No. 34 on The Billboard 200 chart. 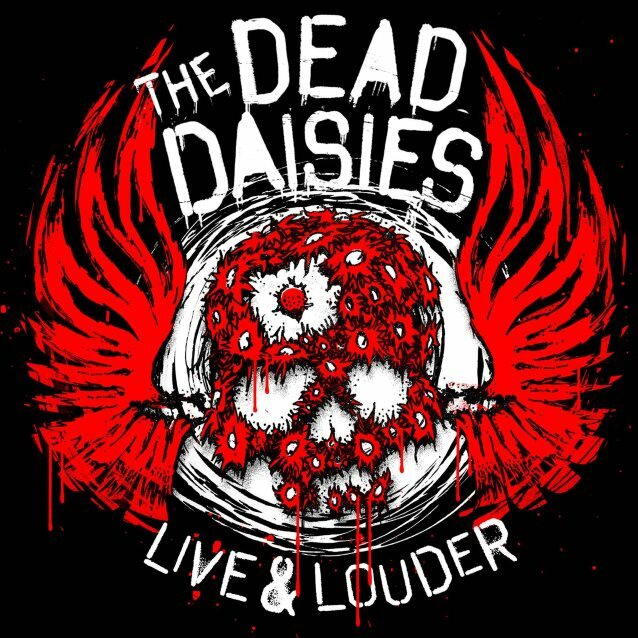 “Live And Louder”, THE DEAD DAISIES new live outing, set for release on May 19 on Spitfire Music/SPV, perfectly captures the awesome vibe of their supreme, sweat drenched, roof-raising live sets, recorded on a heady high at the end of an unbelievable 2016. From the moment they dropped their first single “Long Way To Go” ahead of their European festival summer in June, the hits just kept on coming. The second single, “Join Together”, ramped up the release of the third studio album, “Make Some Noise”. The band were well underway touring the USA with KISS, a tour that finished with a sold-out headline show at West Hollywood’s prestigious Whisky A Go Go. The next single, “Song And A Prayer”, was released with an accompanying short film, refocused attention and rang in the final, massive touring phase of the year which saw the band go to Japan for the first time, where they immediately became media and fan darlings and went down a storm at the world-famous Loud Park festival. A string of dates in Korea for the USO and, as the year’s grand finale, a massive European co-headline tour that played more than thirty shows to sold-out venues. The DAISIES, as they are affectionately referred to by their fans, quickly became people’s favourite live band with their relentless energy, stellar musicianship and unabashed joy in bringing the rock back into roll. The big question at signing sessions after each show and on the band’s social media channels continued to be: “When will there be a live album?” People simply could not get enough of them live. Not to turn down a good opportunity, the band recorded a number of shows on the European tour. The album was mixed by Anthony Focx (AEROSMITH, BAD COMPANY, METALLICA, SANTANA) at Focxhole Studios and mastered by Howie Weinberg. They assembled a true monster in the vein of the great live albums of the ’70s. You can feel the sweat drip from the ceilings, the energy of the crowd becoming one with the band, screaming, hollering and forgetting about the often-mundane reality for a night of true rock ‘n’ roll. Warts ‘n all, “Live & Louder” is a document of a band in their prime, a raw slice of visceral energy, an in-your-face assault on the senses. Simply: THE DEAD DAISIES in their element and at their best! “Live And Louder” will be released in a number of different, exciting formats. Again, the band listened to what the fans wanted and added a spectacular vinyl as well as a limited-edition box set that features, among other cool trinkets, an exclusive seven-inch vinyl single recorded at The Zoo at Planet Rock radio’s highly coveted London fan-only gig in November 2016. THE DEAD DAISIES were formed by guitarist and songwriter David Lowy, whose keen instinct and clear vision has guided the recruitment of an amazing revolving lineup of renowned musicians since the band’s inception in 2012. Initially, Richard Fortus and Dizzy Reed of GUNS ‘N’ ROSES, plus THE ROLLING STONES band members Darryl Jones and Bernard Fowler, as well as John Tempesta and Charley Drayton of THE CULT, were involved. Lowy has once again enlisted incredibly talented international stars to record “Make Some Noise”. THE DEAD DAISIES are: Doug Aldrich (WHITESNAKE, DIO), John Corabi (MÖTLEY CRÜE, THE SCREAM), Marco Mendoza (WHITESNAKE, THIN LIZZY), Brian Tichy (OZZY OSBOURNE, FOREIGNER) and David Lowy (RED PHOENIX, MINK). 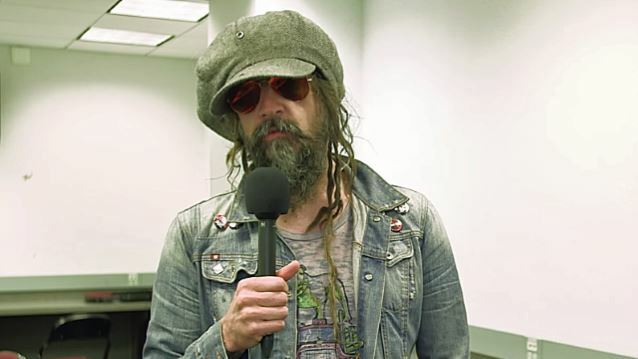 Rob Zombie has has lent his voice to “Guardians Of The Galaxy 2”. Rob confirmed his involvement in the sequel to the 2014 comedic superhero flick via his Instagram account. In the first “Guardians” film, Zombie voiced the Ravager‘s own navigation system. Zombie also lent his voice to other characters in Gunn‘s films: he voiced a doctor in “Slither” and even sounded off as God in “Super”. Last July, Jimmy Urine of electro-punks MINDLESS SELF INDULGENCE revealed that he will have a part in the upcoming “Guardians Of The Galaxy” sequel. Urine was cast in the role of Half-Nut, a member of the Ravagers. AEROSMITH frontman Steven Tyler last year publicly expressed an interest in being a part of “Guardians Of The Galaxy 3” — even though a third instalment wouldn’t arrive before 2020 at the earliest. “Guardians Of The Galaxy 2” is due in theaters on May 5. 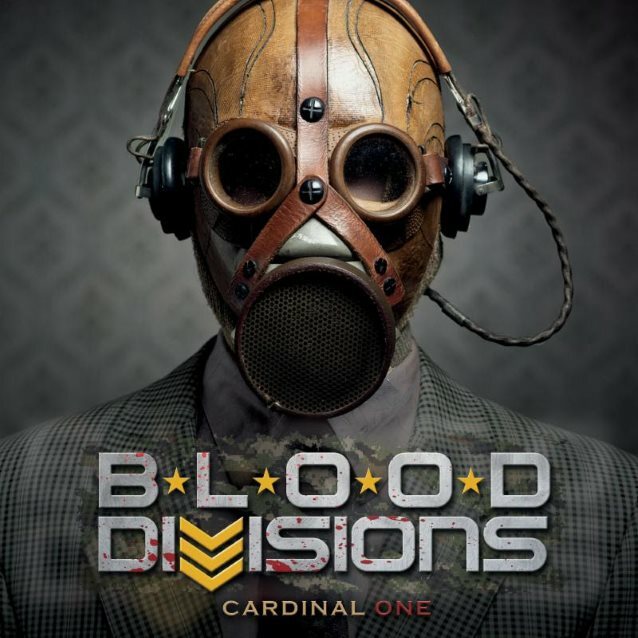 On March 24, BLOOD DIVISIONS — a collaborative project of heavy metal musicians with proceeds going to Rock And Rescue — will release its new EP, “Cardinal One”, via Metal Blade Records. Featuring cover songs of classic tracks as well as original material, “Cardinal One” can be pre-ordered at metalblade.com/blooddivisions, where the album track and cover version of UFO‘s “Hot ‘N’ Ready” can be streamed. Founded by core members Chris Jericho (FOZZY, WWE), David Austin (NASTY SAVAGE), and Ed Aborn (INTERSONIC CYBER SYMPHONY), BLOOD DIVISIONS features a roster of supporting musicians who are current or former members of bands such as OBITUARY, DEATH, NASTY SAVAGE, SIX FEET UNDER, ICED EARTH, SEBASTIAN BACH, DEICIDE, MASSACRE, TRANS-SIBERIAN ORCHESTRA, and more. The result is a mixture of classics injected with new energy and original music in the mold of Florida’s heavy metal roots.